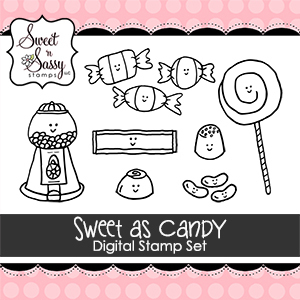 I am so honored to be a guest designer for Sweet 'n Sassy Stamps for the next few weeks. I used two different digi sets for my card. 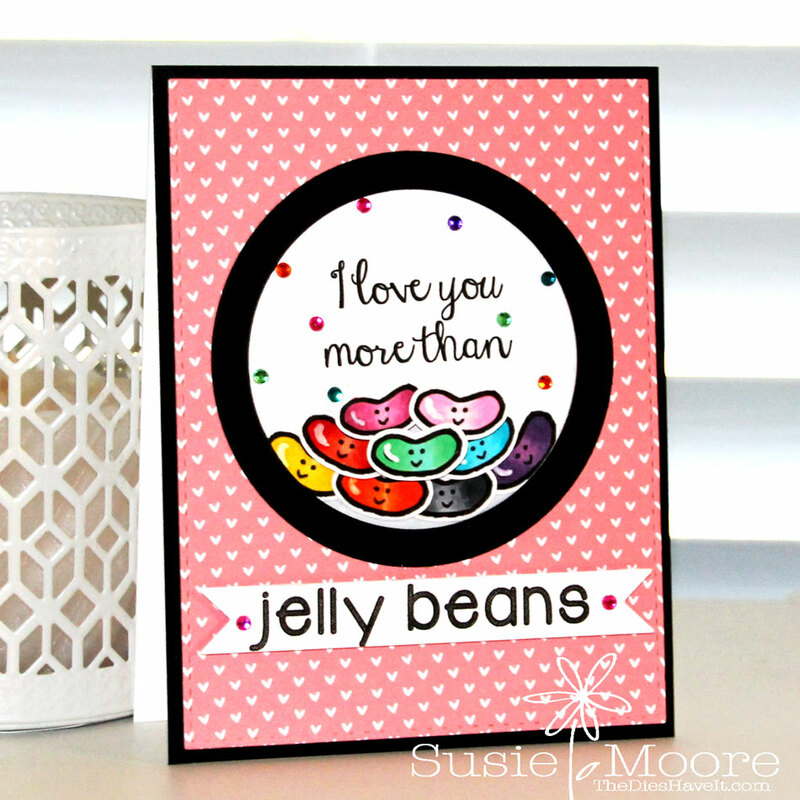 My jelly beans are from the Sweet as Candy set. Can you believe how adorable these images are?? They are perfect for coloring. For mine, I used Copic markers, but there are so many more mediums from which to choose. 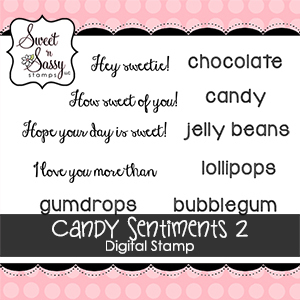 My sentiment is from the Candy Sentiments 2 set. Can you even imagine how many valentines you could make with these sets? And the advantage to digi stamps is the ability to resize images and sentiments. I even broke my sentiments apart before printing. I hope you like my valentine today. I had a blast making it and adding just a bit of bling to get it ready for sending to a sweet friend. Be sure to check out ALL the Valentine's Day digis over at Sweet 'n Sassy Stamps. And while you're there, take a peek at the wonderful clear stamps too! You'll be happy you did!!! !